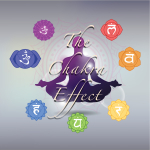 ‘The Chakra Effect’ is an online course offered by inner-work coach and spiritual teacher GP Walsh –who is also the creator of the highly recommended Just Allow It course. Like its fellow sister course ‘The Chakra Effect’ has left no room for disappointments and offers 8 weeks of intense learning, self-discovery and healing. GP takes the commonly used, or rather misused, model of the Chakras and restores it to the teaching of wisdom which it must’ve begun as. This model is then used as a way of understanding yourself – what drives you, what triggers you, what issues you are experiencing and most importantly why? Using the Chakras you begin to become aware of the many conflicts inherent with-in yourself and the constant tension you experience in your everyday life: you want to go the gym yet you are not at the gym, you want to ask the girl/guy out yet you walk away, you don’t want to spend the money and yet you just bought a whole new wardrobe! As we begin to gain clarity on the causes of these conflicts a certain compassion and self-acceptance arises; rather than a constantly vicious circle of trying to fix the issue, trying to gain this or that in your life followed by disappointment and self-loathing when it doesn’t occur this teaching proposes a different method, one of allowing and acceptance. This insight alone is worth 100 self-help books and maybe one of the few things that will actually get you the results you desire. I have always re-acted to the ‘Chakras’ with a slight cringe and avoidance as they are so heavily entrenched with-in the world of overly spiritual spirituality. If you have the same re-action then make sure to not be put off as this course will most likely change that association. For me it was like putting on a pair of glasses after walking around blurry-visioned for days in the land of Chakras. So what are the Chakras? The Chakras are a model for understanding yourself. They are a way of looking at the totality of who you are and accepting it as it is; by seeing that every part of you, even those that you dislike, have a function and if that any part is not functioning correctly then the whole system suffers. If you think of yourself as a painting, this painting is a complex whole with many different aspects. These aspects and the painting itself are made up of colours. Each of the colours can be represented by a Chakra. When you learn what the colours are, how and when they are best used, then you can begin to create the image that you most desire. The first chakra represents safety and the entire physical manifestation that is the world – it represents everything you see around you. Everything you are surrounded in and made of. There is no escaping it and without it there is nothing. For this reason it has the most powerful voice and generally what it says goes. This chakra is concerned with safety. You can sense this chakra in the lower torso but it can also be felt everywhere. The second chakra is desire – this one will be familiar to many of you as you are most likely identified with it. This is not just desire in the sexual sense of the word; it is every desire you have from wanting to express yourself, money, success or even wanting to go for a walk. Issues which occur in this chakra are those of not having your needs met and your wants being shut down. It can be felt around the navel. Understanding and working with the first two Chakras alone will solve 90% of your problems. As GP teaches it becomes apparent that most of the issues in our lives can be simplified down to a conflict between safety and desire. In most cases safety is the king of the land and desire is being shut down. 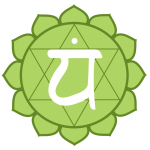 The third chakra is the sense of identity – ‘me’ and ‘I’. It can be felt in solar plexus. Using this chakra you can uncover beliefs about who you want to be, who you should be and the general image you hold of yourself. 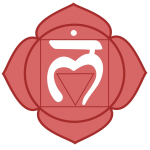 The fourth chakra is also known as the heart chakra. It represents connection and relationship to others. It can be felt in the centre of the chest and life issues of loneliness, rejection and an inability to connect to others usually stem from a blockage in this chakra. 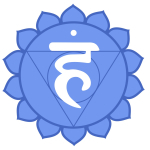 The fifth chakra represents the voice –communication and self-expression. It can be felt around the upper torso, shoulders and neck. Blockages here include lying about who you are, fearing being visible and suppressing your own talents. The sixth chakra is that of creativity and vision. It can be felt in the forehead area. Constriction in this chakra can be seen in trying to always be realistic, never dreaming or letting your imagination unfurl. The final and seventh chakra is the ‘spiritual’ and it represents our connection to the divine. It can be felt at the top of the head and if there are any problems in this area there may be a certain tension or headache. If you mistrust life, the universe or god then such issues can usually be resolved in seventh chakra. 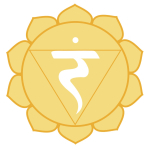 How do you use the model of the Chakras and other techniques taught in the course? If there is something you want in life, which you currently don’t have, or something you have which you want to get rid of then the Chakra system can be used as a way of untangling the many nuances involved in what can appear to be a simple life issue on the surface. Ben is looking to be promoted. He knows that he has the skills and abilities required to handle the succeeding level of the job and he could use the extra money. All seems well…. except that whenever Ben gets the chance to attain the promotion through a particular assignment or meeting his performance seems to be subpar – less than what he could normally achieve – and he could find no real reason for this. He also couldn’t bring himself to ask his Boss for the promotion; no matter how he tried, the anxiety would overtake him and he would simply find another excuse for not asking. This would all leave Ben in such a state of exasperation – he knew he was capable of doing this, he wanted this and yet it was as if there was something working against him! Using the Chakras model Ben could begin to understand that there is more than one motive/function working with-in him; you could say that there is more than one voice. What is occurring in this situation is a conflict between two or more aspects of himself. Some part of him – one that he is currently un-aware of – does not want this promotion and in his haste to receive all the rewards Ben has over-looked this voice. Then using the process of inner-reconciliation which is covered in this course Ben could begin to distinguish between those voices and address each of their concerns. Perhaps this promotion would entirely shift the dynamic of his relationship to his colleagues or would mean such a drastic change to his environment that it triggered some resistance in the first chakra – that of safety. Also his inability to ask for the promotion could be a result of a blockage in the second chakra – desire – which leaves him unable to fully voice his wishes. Finally once he has listened to each point of view he can then decide whether or not this promotion is truly what he wants and if so he can go on to work on releasing the blocks using EFT. At the end the Chakras will do is provide our friend Ben and you with a way of stepping back and viewing the many parts of yourself that are at play. From this complete point of view you can then make the decision which is best for you in this situation. This is a rather simplified break-down of one way that the material in the course can be used to understand a certain issue. Equipped with the tools provided you begin to resolve a variety of concerns and respond to each one organically. The course is broken down into two different sections; theory/knowledge and practical inner work. Thetheory is offered through videos, auditory coursework and downloads of previous live classes. These classes also include the practical inner work which involves live sessions with GP working with people through specific issues pertaining to each chakra. 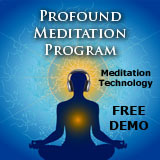 There are also meditation and EFT exercises offered under the course-work section. One of the most beneficial aspects of this course to me was following along in facilitation sessions led by GP as he worked with individual participants. Tapping along using EFT is useful even if the specific difficulty addressed is not your own. The masterHEART institute provides a well organised platform where you are able to sift through the contents of the course in a variety of ways – by listening to the direct recordings of the live classes, following the provided course work or dipping in and out of videos. As I you can tell from the general tone of the article ‘The Chakra Effect’ is highly recommended. The inner-work carried out in the classes has resulted in some very deep exploration of certain blocks and concerns which I have been trying to touch for years. It offers a lot more than just a teaching of the chakras, with Emotional Freedom Technique, the Inner Reconciliation process and even Non-dual Inquiry being encompassed in the material. 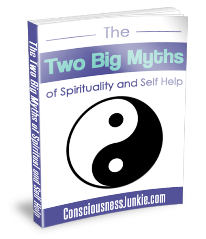 It is a comprehensive course which is useful at any stage of your spiritual development journey. GP’s Chakra Material is now integrated into the “Inner Reconciliation Primary Course” – and is less expensive than the original! Anti-Spam Quiz: Which is bigger, cat or mouse?